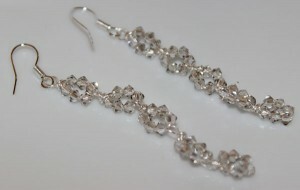 3 mm Swarovski crystals with artistic wire cable and 14K Gold or Sterling Silver Ear Hooks. 3 inches in length. 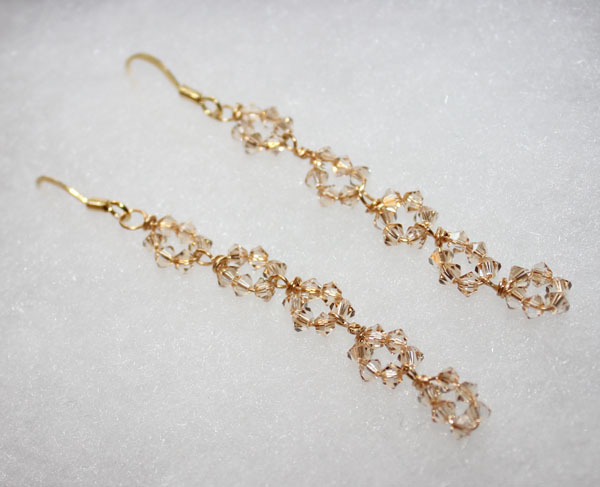 Available in light Pink, Light Blue, Red, Black, Crystal Golden Shadow, Crystal Shade, Diamond, Olivine, Purple, and Fuschia.